When You vacation with your Boomer Mom: It’s Travel in the Slower Lane, or is it? Budget an additional 10% expense to trip for taxis not just for walking but more for luggage weight. You be the Treasurer and the easy way to do this is to both put money in a zip lock and pay each shared bill from it. When it is empty, refill equally. Respect each others’ space: you might want to use the gym and your mom might want to shop or vice versa, but give each other space especially in areas where you usually spat. Ignore the annoying things all us moms say; this is vacation not the debate club in high school. Be the photographer and on return, create one of those Shutterfly type books for her. They are easy even for the idiot photographer and leave a lasting thank you. Moms can never get enough photos of you, fyi. Most of all, cherish your time together and mix with the rest of our group so you both make new friends. 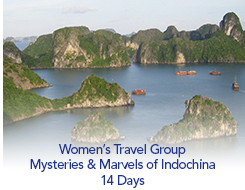 If your mom loves to cook/eat/see/shop, our Vietnam and Cambodia trip is the one to invite her on. 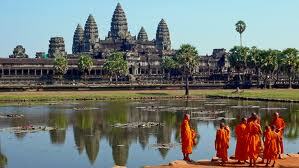 Join us To Vietnam and Cambodia with or without Mom, or come solo and take a guaranteed share.